Home altcoin BITCOIN PRICE CRASH: The Bitter-Sweet Tale. Bitcoin is known to have undergone wild fluctuation in value. Early this year Bitcoin was valued at about $1000. In September it dropped in value by 40% from $4,979 to $2,972. Then in November it tumbled almost 30% from $7,888 to $5,555. 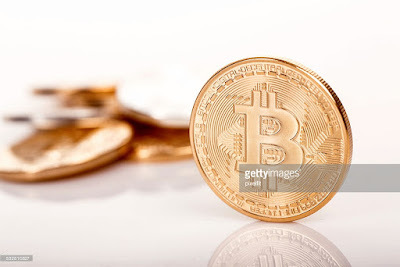 Read Also: Bitcoin Crash: Was British FCA Right About Bitcoin After All? And more recently the price of bitcoin dropped to about $13,000 on Friday December 22,2017 as against its worth on sunday December 17, 2017 (it was worth $19,666). This is about 30% reduction in value. Analysts have suggested that the price could experience continued fluctuation as 2017 comes to a close. As unbelievable as it may seem there is both a bitter and sweet part to the the crash in Bitcoin price. The investor in Bitcoin losses some money when there is a collapse in Bitcoin value in the market. And this is what generally happens when the value of an investment (irrespective of the type) reduces, the investor losses money in the end. Take for example the stock market crash of 1929. It was the worst decline in U.S. history. The crash wiped people out.They were forced to sell businesses and cash in their life savings. That’s because brokers called in their loans when the stock market started falling. People scrambled to find enough money to pay for their margins. Consequent to the loss of money from the collapse of the stock market in U.S people lost faith in Wall Steet , and you can’t have a healthy economy without confidence in the market. Similarly with the crash in Bitcoin price investors and would be investors could lose faith in Bitcoin and this can make BItcoin value crash further. Torsten Slok Deutsche Bank Chief international Economist in a similar remark said that a crash in Bitcoin price would severely affect the broader market in 2018. Many Bitcoin investors believe that the crash in Bitcoin value actually opens up the opportunity to invest more in Bitcoin. For them the right time to buy and keep Bitcoin is when the price drops as eventually the the value will increase in the future (judging by how in the past Bitcoin price has crashed and bounced to more than double its initial value before crashing). Experienced traders claim that the best time to buy altcoins is when Bitcoin is experiencing price dip. When Bitcoin price is plummeting the altcoin markets tend to sufffer as money flocks to BTC. Very recently every single crypptocurrency in the top 100 except Bitcoin has been in the green as altcoin markets which have been starved of attention have enjoyed an influx of capital as a result of the fall in the price of Bitcoin. Overall while the Bitcoin price crash is reason enough for one to be alarmed it is heartening to know that there is a sweet side to the not so bitter tale of Bitcoin Price crash. For more information on Cryptocurrency news and analysis please subscribe to our newsletter.